President of the European Central Bank Mario Draghi just delivered a speech in Florence of rather academic nature. 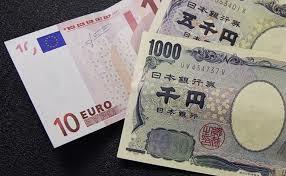 EUR/JPY is gaining strength breaking above the 130.50 level. The EUR/JPY is trading at around 130.60 up 0.20% as Mario Draghi, President of the European Central Bank just delivered a speech in Florence at the 8th edition of The State of the Union which is organized by the European University Institute. The speech was academic in nature and did not reveal new information regarding future monetary policy in the Eurozone. The EUR/JPY tested the 130.00 handle in the European session and then bulls lifted the cross above the 130.60 in the American session. The EUR/JPY is mainly mimicking its big brother EUR/USD which is trading higher on the back of USD weakness. Indeed the US dollar had a strong three-week bull run, but as the recent US inflation and Non-Farm Payroll came below market estimates and the end of the week spurred profit-taking from investors' long USD positions. The USD has been gaining strength on the back of further rate hike expectations from the Federal Reserve Bank. However, as the recent US macroeconomic data was somewhat disappointing, traders are starting to doubt that four rate hikes will come in 2018. The medium-term trend is bullish and resistance is seen at 130.76 swing high and at the 131.00 handle, while support is seen at 130.50 demand level and the 130.00 handle.